Today we are talking about a historic and classic dish of French cuisine known throughout the world: boeuf bourguignon, also called beef bourguignon or beef burgundy. 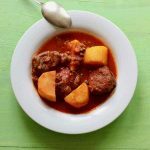 It is a stew of beef cooked very slowly with vegetables, herbs and red wine, usually pinot noir. The classic recipe was born from the association of the two emblematic products of the terroir of Burgundy, beef and wine. Boeuf bourguignon or bœuf à la Bourguignonne, formerly known as “estouffade de bœuf”, was born in Burgundy, France. The magnificent region of Burgundy, with its dazzling architecture, is located about 60 miles southeast of Paris and extends over 220 miles. It has more than 2000 municipalities and is one of the most fascinating regions of France. 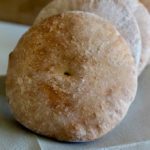 The cuisine can only be a reflection of the region in which it was born and prepared. Thanks to its richness and the variety of its natural resources, in Burgundy, cooking has given life to a true art! 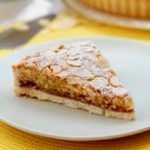 In Burgundy, the tradition of good food was established on the basis of the culinary prowess of the ducal court of Philip the Bold between the fourteenth and fifteenth centuries. Thanks in particular to the presence of exceptional raw ingredients, its gastronomy is still today the most irresistible attraction of this generous region. At the time, the most spectacular kitchens of Burgundy were those of the palace of the dukes of Dijon built in 1435. They consisted of a large room with huge chimneys where six oxen could be cooked together with at least thirty cooks moving constantly between vapors and flames. There are many Burgundy wine-based dishes, such as the famous coq au vin (rooster in wine), the oeuf en meurette (egg in meurette), the andouillettes, the pôchouse (made from freshwater fish and slightly acidic white wine), or the world famous escargots de Bourgogne (snails). The exceptional character of the wines, the tenderness of the Bresse chickens, the Charolais calves, the Burgundy escargots, the best cheeses of France, the fish of the rivers and clear lakes, that’s all Burgundy! 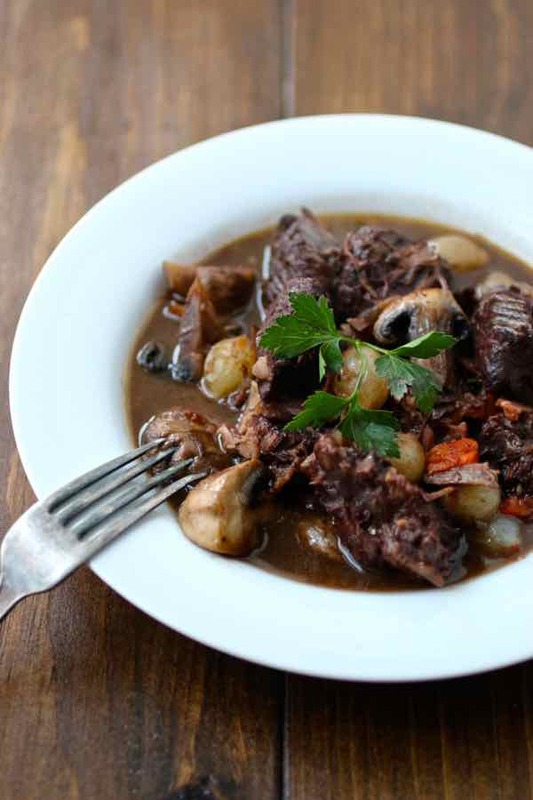 What is the origin of boeuf bourguignon? 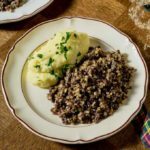 History tells us that this recipe was, in the past, a very popular dish for peasants at parties that tasted boeuf bourguignon with toasts rubbed with garlic. This dish then became the Sunday dish par excellence. 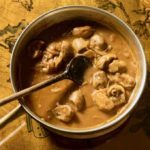 Each peasant family had their own way of cooking boeuf bourguignon and accompanied it with potatoes, pasta or mashed potatoes. 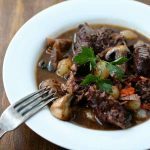 The traditional boeuf bourguignon recipe also includes garnishes such as mushrooms and bacon, in addition to garlic, onions and bouquet garni. Boeuf bourguignon could be the source of another recipe of Burgundy, that is much appreciated: the oeufs en meurette (eggs in meurette). Indeed, when all the meat had been served and only the wine sauce remained in the bottom of the pot, it was customary to poach eggs in it. It is chef Auguste Escoffier, who published the recipe for boeuf bourguignon for the first time in the early twentieth century. 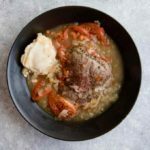 Over time, this recipe shifted from honest peasant cooking to haute cuisine and Escoffier’s recipe from 1903, cooked with a large piece of whole beef in the sauce, became famous. Much later, it was an American, Julia Child, who transformed the presentation of the dish by cutting the meat into large cubes rather than a whole piece. Julia Carolyn Child, born August 15, 1912 in Pasadena, California was an emeritus chef. She was also an American television host. She is known to have been the pioneer in the United States to present French cuisine and cooking techniques through numerous cookbooks, such as her most famous book published in 1961 Mastering the Art of French Cooking, and programs like The French Chef, which began in 1963. Beef Burgundy, famous throughout the world, pays tribute to Charolais beef. 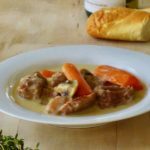 Famous for their taste, tenderness, and low fat content, Charolais white bulls around the region of Charolles in the south of Burgundy are essential for the preparation of boeuf bourguignon. Cattle are fed only hay and cereals, which produce healthy cows. Their meat is very tender. At the end of August, in Burgundy, Charolais beef is celebrated during the “Fête du Charolais”, a festival that takes place in the city of Saulieu in Burgundy. 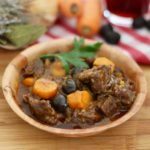 Musicians, meat lovers and farmers gather in the streets, inviting everyone to enjoy an unforgettable gastronomic experience with their traditional beef Bourguignon. 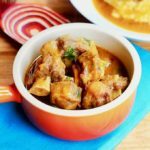 There are several dishes that are similar to beef bourguignon by their ingredients and cooking method. 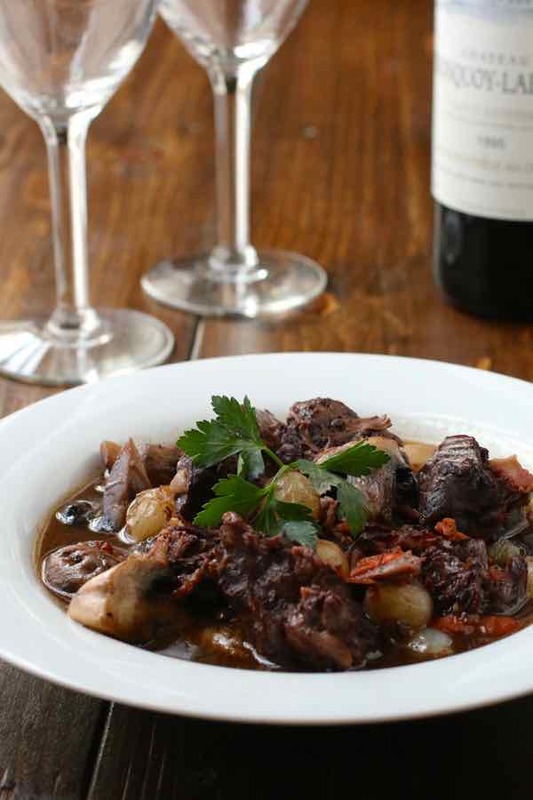 Daube, of Provençal origin, is beef (or other meat) stewed in wine and regional spices. Sauerbraten, of German origin, uses a sweet and sour sauce made of vinegar and beer (sour) as well as gingerbread and raisins (sweet). 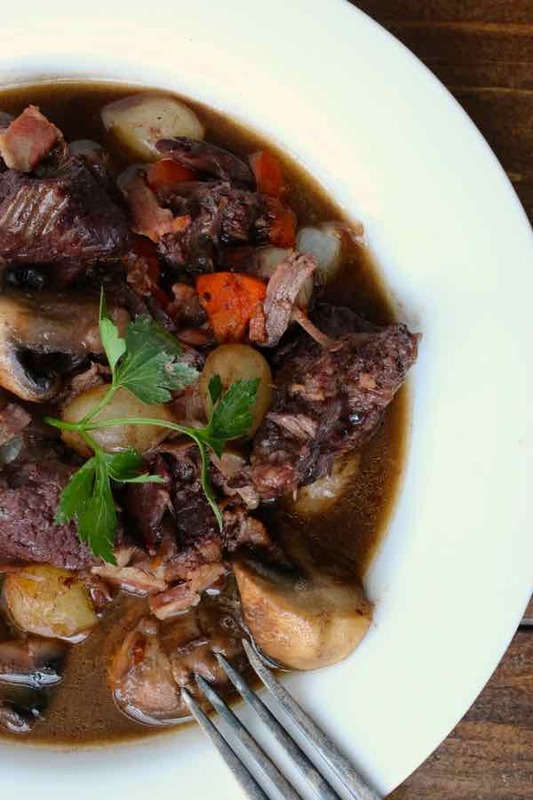 Carbonnade, a stew of Flemish origin also uses the same method of cooking with traditional dark beer. 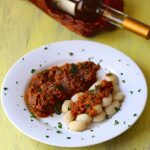 Beef Burgundy (boeuf bourguignon) is a traditional French beef stew that is simmered in red wine and is typically served with potatoes or pasta. Cut the meat into cubes of approximately 2 x 2 in. Dice onions and carrots, and the stalk of celery into two or three large sections. In a container, put the pieces of meat with the carrots, onions and celery. Add the bouquet garni. Pour red wine up to cover meat. Marinate several hours (you can even marinate up to 24 hours in your fridge). Peel the pearl onions. Put them in a saucepan with water to half. Add the butter, sugar and a little salt. Let them cook uncovered over low heat while monitoring the color which should turn amber. Cut bacon into 1x1 in. pieces. Put the pieces of bacon in a saucepan with cold water and bring to a boil. As soon as the water boils, remove the pieces. Heat a little oil in a pan. Once the oil is hot, sauté the bacon. After 2-3 minutes, remove the pieces and sauté mushrooms in the same pan. Remove the meat from the marinade and dry each piece prior to browning on each side in a lightly oiled Dutch oven. Meanwhile, pour the marinade and vegetables into a saucepan and bring to a boil. Once meat cubes are colored, add the garlic, carrots and onions to brown with the meat. Add salt and pepper. Remove the excess grease and sprinkle with flour. Let the flour roast before moistening the meat with the marinade. Add the celery. Bring to a boil and then cover your Dutch oven and set to simmer in the oven at 360 F for three hours. While cooking, stir occasionally and add a little wine if necessary. Once meat is cooked, remove the Dutch oven. Pass the sauce through a sieve and heat it in a saucepan with the paprika, nutmeg and chocolate. Simmer for a few minutes and then add meat and onions, bacon and mushrooms to briefly reheat everything. Season to taste. 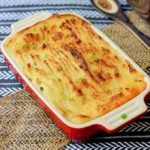 Serve with steamed potatoes or with fettuccine. Really love Beef Burgundy . 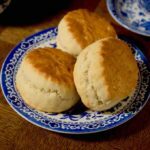 Wonderful comfort food and smells great too. Even served it at my wedding.